is a family-owned, artisanal donut and craft hot dog restaurant that focuses on hand-made, small-batch food/drink, rotating based on seasonality. We use nothing but the highest quality ingredients and make everything in house! Naturally, we don’t use any artificial ingredients. If we wouldn’t serve it to our own family, we definitely wouldn’t serve it to yours! So why Donuts + Hot Dogs together - why not! It is an assortment of sweet and savory items that pair perfectly… not only together but with beer and champagne. All of our brioche donuts take 20hrs just to make the dough alone. The finished product is light, yet rich and deep with tons of flavor… basically fluffy pillows of goodness packed with protein. We also carry brioche into our hotdog buns, which are light and crisp to the bite. They compliment the snap of the dog, pairing beautifully. Hand wrapped with bacon and sourced mainly from local farms. 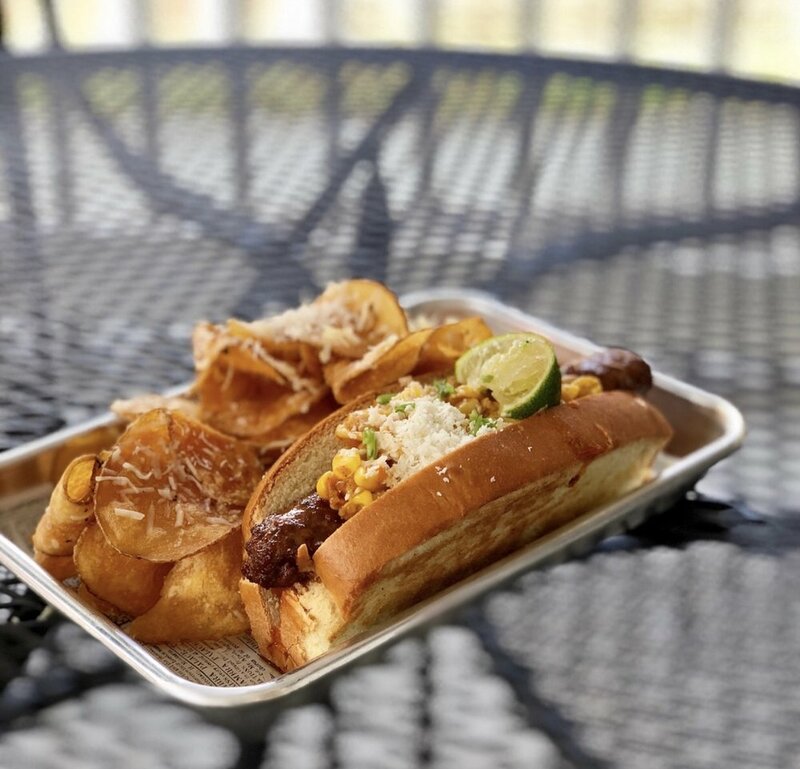 Add an egg to your dog… or upgrade your side to truffle fries or chips, authentic Mexican street corn, chicharrones, pretzel bites and much more. Making your combinations endless. Organic Coffee? Yep, we've got you covered to! We serve the BEST Coffee in Nashville but don't take our word for it... ask our guests. Our coffee menu consists of seasonal flavors and favorites like the acclaimed Smoked Caramel Latte. We’ve worked incredibly hard and poured every ounce of heart and passion we have into pushing the boundaries of what a 'donut' and ‘hot dog’ is, to make sure we’re not only the BEST in Nashville’s, but BEST in the nation. We’re kind of obsessed! Selection varies daily . . .